on Certification of Physician Assistants. 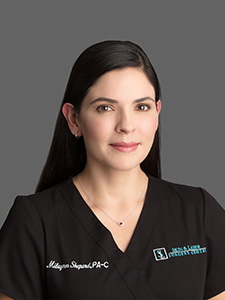 She is a member of the American Academy of Physician Assistants as well as the Society for Dermatological Physician Assistants. their best. She treats many skin conditions of varying complexities, and also provides a variety of cosmetic and surgical procedures. Milagros is originally from Peru. She enjoys spending time with her family, running, and skiing. Milagros also offers Dermatological services in Spanish.